Deborah Alfa Hair & Beauty is a finalist for Hair Salon of the Year in the Wirral Life Awards 2018. The company, which is owned by Deborah Alfa, has also been shortlisted for the Health & Beauty of the Year award for its Me Again Community Interest Company. 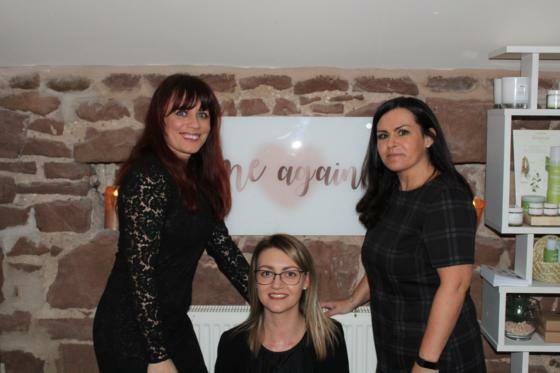 Me Again was launched by Deborah in March 2018 to enhance the wellbeing and emotional resilience of women going through cancer by the provision of free beauty treatments and holistic therapies. They also offer a personalised wig-fitting service and scalp consultations. In just seven months, the salon has raised nearly £2,000 for Me Again from raffles, events and, recently, staff taking part in a Tough Mudder. Me Again, which has helped more than 100 women from across the Wirral and Chester, hosts free monthly coffee mornings with guest speakers and well-being workshops to enable women going through cancer to get together. Deborah said: “As a team, we are delighted to be nominated for these two awards. Our mission is to offer support and care to cancer patients from the point of diagnosis, throughout their treatment and ongoing into the post treatment recovery period. “We also provide an opportunity for socialisation and education centred on well-being to encourage friendships and peer support.